Old versions of AutoCAD were not designed to run in newer versions of Windows and you will find that installing them the normal way yields lots of issues or even failure to install at all. The Longbow Converter app allows old versions of AutoCAD to be installed on new versions of Windows, removing all known compatibility issues automatically for you. Make sure all previous installed versions of AutoCAD are uninstalled first. Wait until all of the files have extracted, when they do, note that the ADT 2011 setup will automatically launch – make sure you close the setup and move to the next step. Make sure all previous installed versions of AutoCAD Civil3d 2013 are uninstalled first. Next, using the “…” button, select your AutoCAD Civil3d 2013 installation CD and follow the instructions presented by the Converter tool user interface. 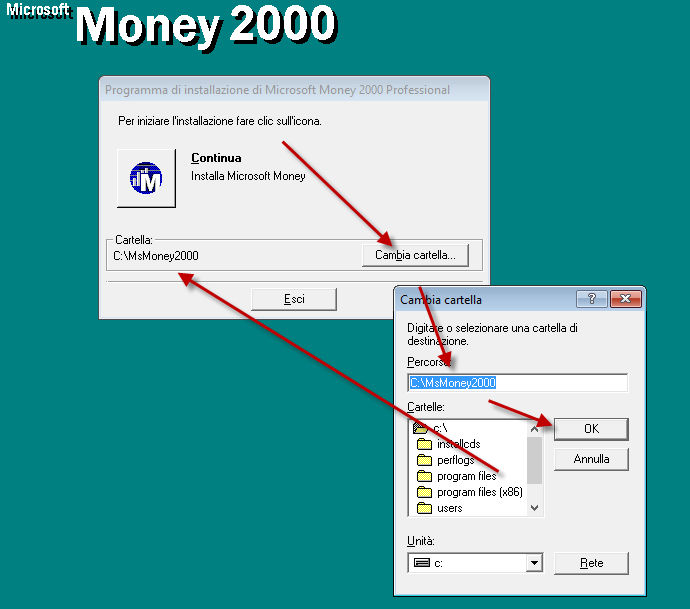 Once the Microsoft Money 2000 setup appears, install as normal *except* when prompted for the installation path, set it to c:\MsMoney2000 e.g. Say ‘No’ if the Reviver tool asks if you want to re-register… e.g. Now you can happily run your Microsoft Money 2000 on Windows 7, Windows 8 or Windows 10! AutoCAD LT 2014 was not designed to run in Windows 10 (Windows 10 was released after AutoCAD LT 2014) and inevitably you will run into issues such as the infamous Ribbon crashing issue, slow startup problems, text scaling issues, etc. 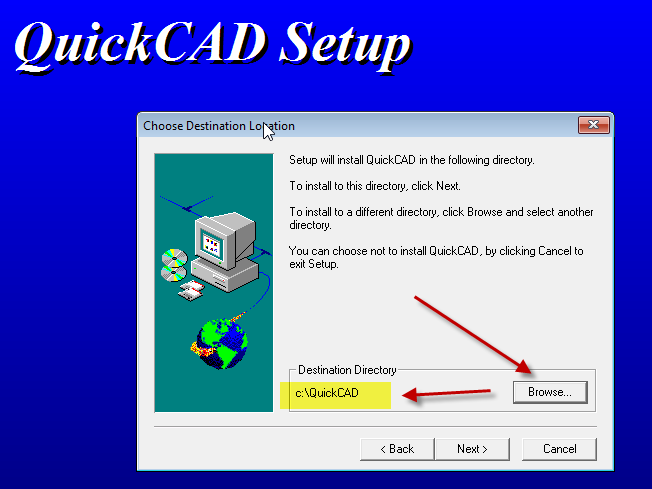 Once the QuickCAD V4 setup appears, install as normal *except* when prompted for the installation path, set it to c:\QuickCAD e.g. Now you can happily run your QuickCAD V4 on Windows 7, Windows 8 or Windows 10! click the Run Old Installer button… Read and understand all the prompts before pressing OK. When you arrive at the installation folder path setup dialog, **it’s vitally important to make sure you install to c:\ldt2006 (not C:\Program Files (x86)\Autodesk Land Desktop 2006 that is defaulted)**. Once installed, do not reboot, make sure you fully close the AutoCAD setup program (because the Converter is waiting for the setup program to fully close) then go back to the Converter tool, select the 3rd tab, pick the newly installed c:\ldt2006 folder and click the Fix Old Program button. Now you can run your Autodesk LDT 2006 on Windows 7, Windows 8 and Windows 10, both 32bit and 64bit. 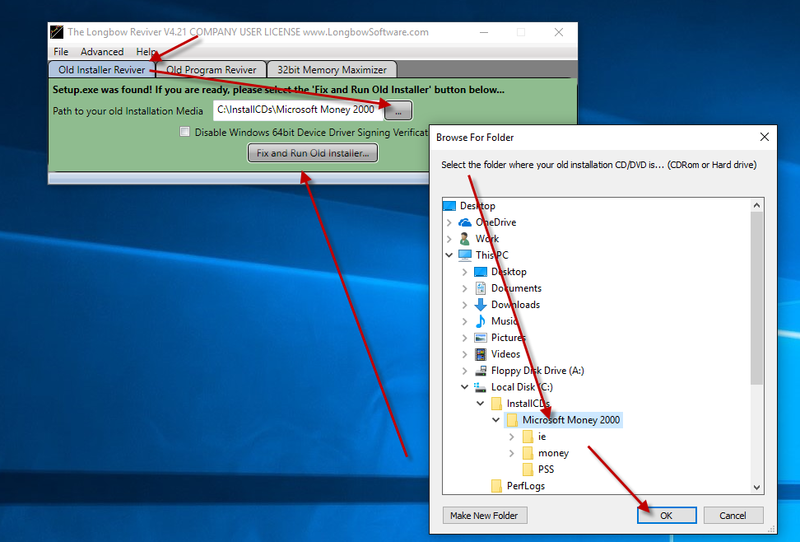 Using the “. . .” button, pick your MDT 5 CD, and click Run and follow the Converter’s instructions. Make sure all previous installed versions of AutoCAD 2014 are uninstalled first. NOTE: If the Converter does not recognize your because it is a single self extracting exe downloaded from Autodesk called something like AutoCAD_LT_2013_English_Win_64bit.exe, simply run the exe, it will ask to unzip to a folder inside of c:\Autodesk, make a note of the folder for later use (we’ll refer to it from here as c:\Autodesk\AutoCADLT2013), now click OK. Wait until all of the files have extracted, when they do, the AutoCAD LT 2013 setup will automatically launch – simply close it and move to the next step. Now click the “Convert” button and follow the instructions. Simply run the exe, it will ask to unzip to a folder inside of c:\Autodesk, make a note of the folder for later use (we’ll refer to it from here as c:\Autodesk\MDT2009), now click OK. Wait until all of the files have extracted, when they do, the AutoCAD MDT 2013 setup will automatically launch – simply close it and move to the next step. and click the “Convert…” button. Once the conversion process is complete, click the “Install/Run Setup” button to start setup. Now you can happily run your AutoCAD MDT 2009 32bit on Windows 7, Windows 8 and Windows 10! AutoCAD 2015 was not designed to run in the latest releases of Windows 10 and inevitably you will run into issues such as the infamous Ribbon crashing issue, slow startup problems, text scaling issues, etc. The Adobe Acrobat X plugin for AutoCAD only runs on 32bit AutoCAD, and 32bit AutoCAD only runs on 32bit Windows. This means that you will be stuck if you require the Adobe Acrobat X plugin for AutoCAD and move to newer hardware with 64bit Windows. Click on one of the links below to see how to install 32bit AutoCAD on 64bit Windows and then be able to install Adobe Acrobat X plugin. Installing AutoCAD R14 Express Tools Volume 6 (et1-6.exe) on Windows 7, Windows 8, Windows 8.1 and Windows 10 32bit or 64bit can be very easily defined in these short steps. Simply run the exe, it will ask to unzip to a folder inside of c:\Autodesk, make a note of the folder for later use (we’ll refer to it from here as c:\Autodesk\ADT2014), now click OK. Wait until all of the files have extracted, when they do, the AutoCAD Architecture 2014 setup will automatically launch – simply close it and move to the next step. Now, start the Longbow Converter tool, select the 1st tab, pick the c:\Autodesk\ADT2014 folder, and click the Convert button. Now you can happily run your AutoCAD Architecture 2014 32bit on Windows 7, Windows 8, Windows 8.1 and Windows 10! Read and understand all the prompts before clicking OK.
Click the “Fix Old Program” button. Now, you can happily run your Autodesk Architectural Desktop 3.3 on Windows 7, Windows 8 and Windows 10. Installing AutoCAD LT 2014 32bit on Windows 7, Windows 8, Windows 8.1 or Windows 10 64bit can be very easily defined in these short steps. Simply run the exe, it will ask to unzip to a folder inside of c:\Autodesk, make a note of the folder for later use (we’ll refer to it from here as c:\Autodesk\AutoCADLT2014), now click OK. Wait until all of the files have extracted, when they do, the AutoCAD LT 2014 setup will automatically launch – simply close it and move to the next step. Now you can happily run your AutoCAD LT 2014 32bit on Windows 7, Windows 8 and Windows 10! Installing AutoCAD LT 2015 32bit on Windows 7, Windows 8, Windows 8.1 or Windows 10 64bit can be very easily defined in these short steps. Simply run the exe, it will ask to unzip to a folder inside of c:\Autodesk, make a note of the folder for later use (we’ll refer to it from here as c:\Autodesk\AutoCADLT2015), now click OK. Wait until all of the files have extracted, when they do, the AutoCAD LT 2015 setup will automatically launch – simply close it and move to the next step. Now you can happily run your AutoCAD LT 2015 32bit on Windows 7, Windows 8 and Windows 10!